With a hosted VoIP phone system, your staff can work smarter, faster and more productively from the office, home, remotely or even on the move. By switching your telephony service to the cloud you can gain all the convenience of a traditional site-based PBX system and much more, without the associated costs and complexity. This managed service is ideal for businesses looking for a feature-rich phone system without paying large upfront expenditure or excessive line rental and call charges. It can bring together people across multiple sites, as well as home workers and those that need the flexibility to operate from anywhere. 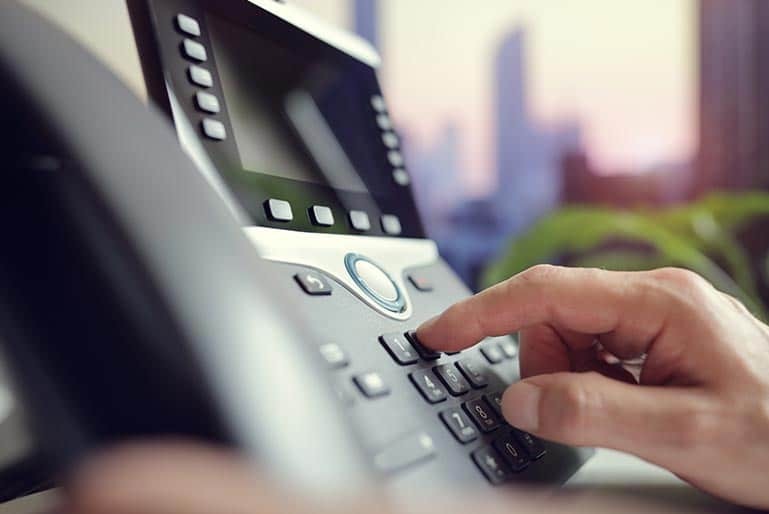 nxcoms is one of the most experienced providers of VoIP solutions in the UK, so we can help you achieve high quality calls as well as benefit from advanced telephony features at a lower cost than a traditional phone system. With unrivalled availability, redundancy and resilience, you can enjoy complete peace of mind and assured business continuity. The consistent and reliable connection is backed up by a guaranteed SLA, built-in disaster recovery planning and 24/7 monitoring. Take advantage of advanced and seamlessly integrated telephony features via business VoIP including instant messaging, conference calls, voicemail to email, fax to email. Staff can also reroute calls automatically to an alternative landline or mobile device, so they never have to miss a call. Add and remove devices and virtual lines quickly and hassle-free, without having to take out a new contract or install additional hardware. You can rapidly and efficiently scale your phone system, so you only pay for what you need, when you need it. Better understand how efficiently, effectively and productively your staff are dealing with customers and target continual improvement with call logging and recording. Track and analyse all phone traffic with advanced reporting capabilities, while listening to the content of calls to monitor call quality.